Don´t miss BBC Radio’s interestering program about what the Scandinavians know about childrens literature, featuring former ALMA jury member Maria Nikolajeva. Link to podcast here. “Why does Scandinavian children’s literature ‘punch above its weight’ in terms of worldwide sales, and why does it have a particularly unique voice? From the super-human strength of Pippy Longstocking by Swedish author Astrid Lindgren to the strange Finnish animals dreamt up by Tove Jansson in the Moomin stories, and the anarchic Wild Baby created by Barbro Lindgren and Eva Eriksson. It began with probably the best known storyteller for children – Hans Christian Andersen – continued with the work of Elsa Beskow, the Swedish Beatrix Potter, and is alive today in the books of authors like Gro Dahle. 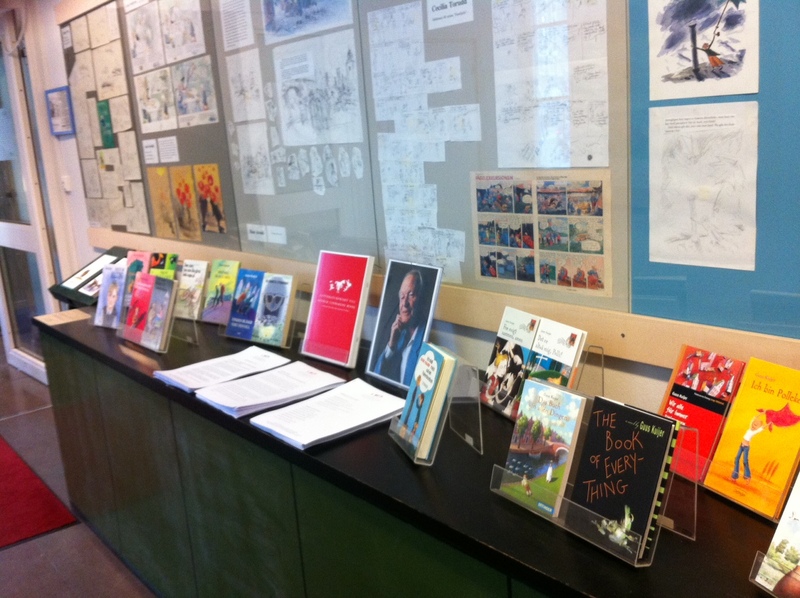 Yesterday at the Swedish Institute for Children’s Books visitors had the chance to listen to a presentation of the 2012 award recipient, Guus Kuijer. The presentation was made by Elina Druker, member of the award jury, and she spoke of Kuijer’s uncompromising perspective of the child, and of his ability to simultaneously paint a perceptive picture of the adult world. A number of the authors books were discussed, and many of them, in several languages, were on display on this table outside of the lecture room. Elina Druker also made a presentation of Guus Kuijer directly after the announcement on March 20. The video is available on demand on our web, check it out here. “Guus Kuijer’s ability to combine the big questions of life with humour and playful narrative zest has led to his work being translated into nearly twenty languages over the years. I am convinced that this year’s prize will further strengthen interest in children’s literature internationally.” Sweden’s Minister for Culture Lena Adelsohn Liljeroth. The news was published in media channels such as Publishers weekly, Le Figaro, Dutch news, Die Zeit, Le Soir, The Guardian, RTW Netherlands, The Telegraph, El Economista and De Tijd. 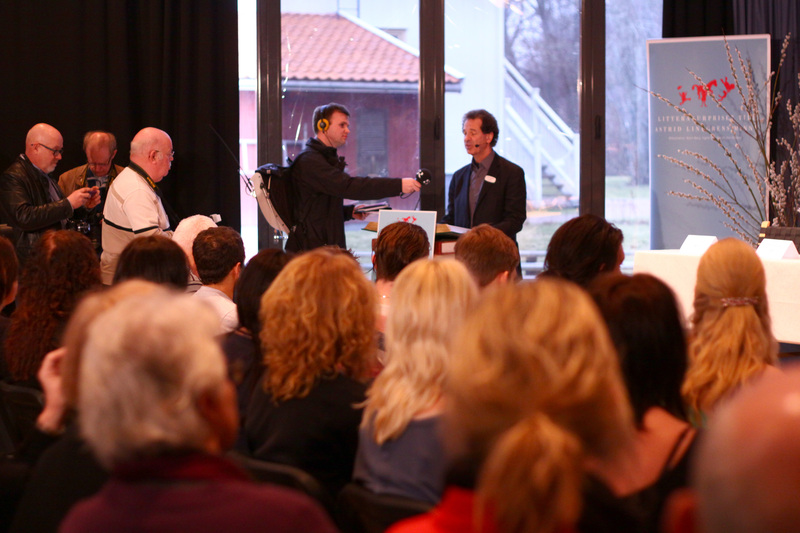 Tuesday March 20, 1 pm: chairman Larry Lempert announces the 2012 recipient in Vimmerby, the birthplace of Astrid Lindgren. Photo: Emma Jansson. 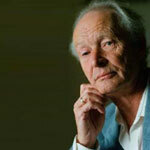 Guus Kuijer is an author, born in 1942, who lives and works in the Netherlands. Guus Kuijer made his debut as a children’s author in 1975 and has published over 30 titles, mostly aimed at readers on the cusp of their teenage years. Key works include Het boek van alle dingen (2004, The Book of Everything), Florian Knol (2006) and the series of five books about the girl Polleke, starting with Voor altijd samen, amen (1999, Together Forever, Amen). – I’m deeply grateful to receive this award. 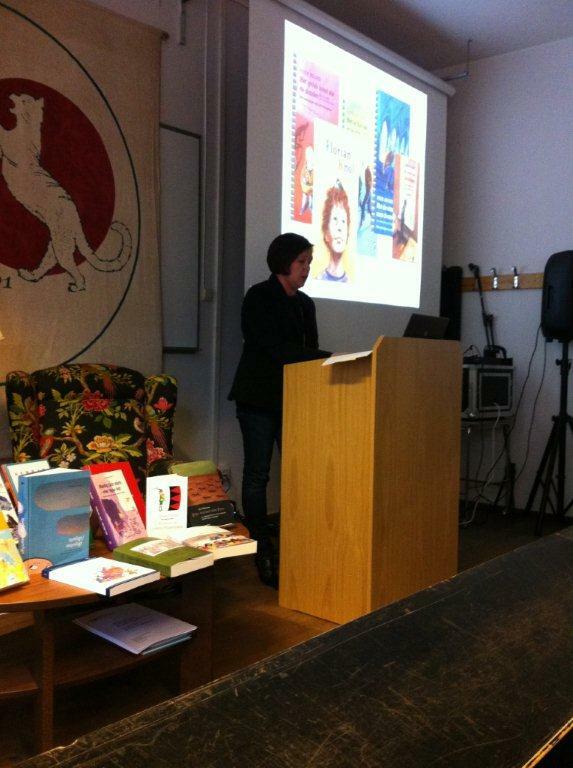 I hope that it will positively influence the position of children’s literature in the Netherlands and abroad. As for my work I consider “The Book of Everything” the most important. The announcement is also broadcast to the Bologna Children’s Book Fair. The program starts at 12.40 in the Illustrators Café. 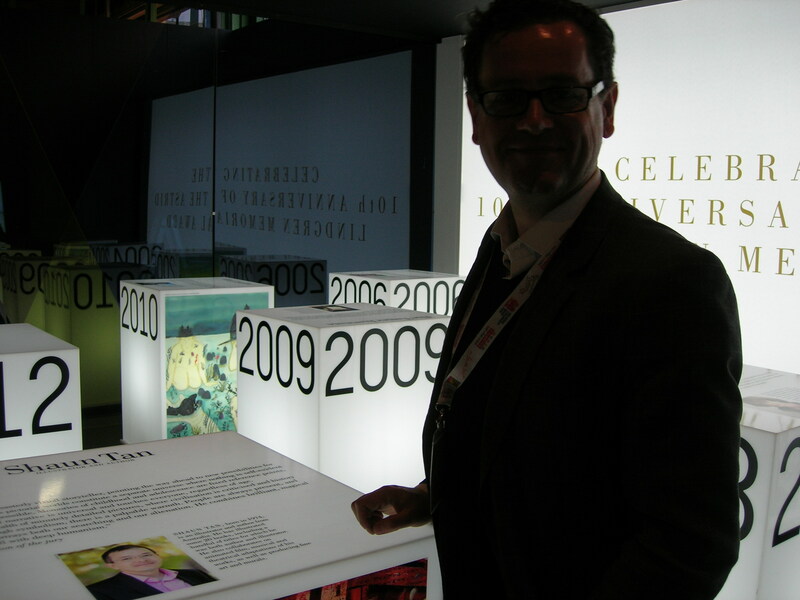 The proud exhibition designer: Mats Hedman! Read 2005 ALMA recipient Philip Pullman’s words about children’s right to culture, written for the celebration of ALMA:s 10th anniversary. Next Monday, March 19, the ALMA jubilee exhibition opens at the Bologna Children’s Book Fair. All previous recipients are presented in the exhibition, and an extensive program with illustrators, authors and reading promoters have been presented at the Bologna Fair. 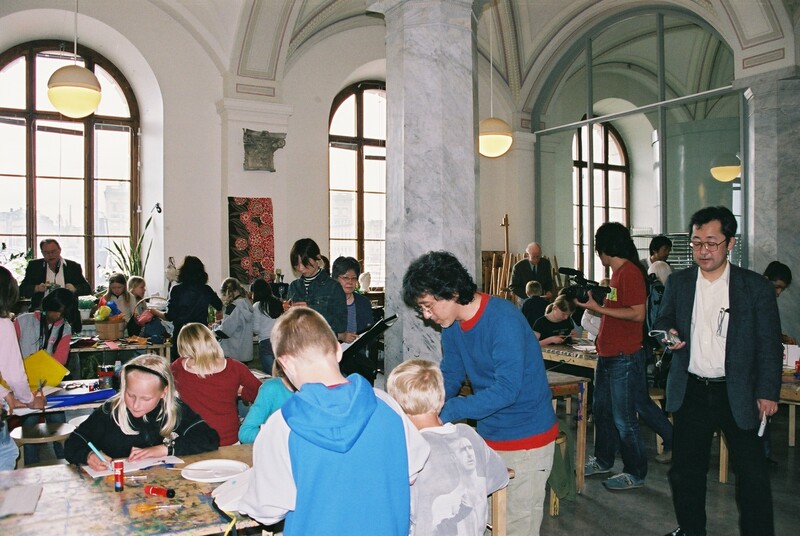 Workshop with children at the Nationalmuseum in Stockholm, during Award Week in May 2005. Illustrator Ryôji Arai is leading the workshop. Fairytalehouse Junibacken in Stockholm ensemble a show based on the 2012 ALMA recipient’s work, only 24 hours after the announcement. The Junibacken ensemble will follow the live broadcast from Vimmerby on March 20, 1 pm. Immediately after the announcement, the process of developing a show based on the recipent or recipents work will start, followed by a hectic night with research, production of a script along with rehearsals with actors. The play will premiere at Junibacken on Wednesday, March 21, at 1 pm. 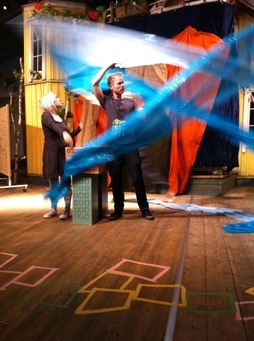 Last year, the Junibacken ensemble produced a play – Grandpa´s Story – from the novel with the same title by author and illustrator Shaun Tan, only 24 hours after the 2011 announcement. Rehearsal of Grandpa's story after the 2011 announcement. On March 19, the world’s largest children’s book fair opens in Bologna. 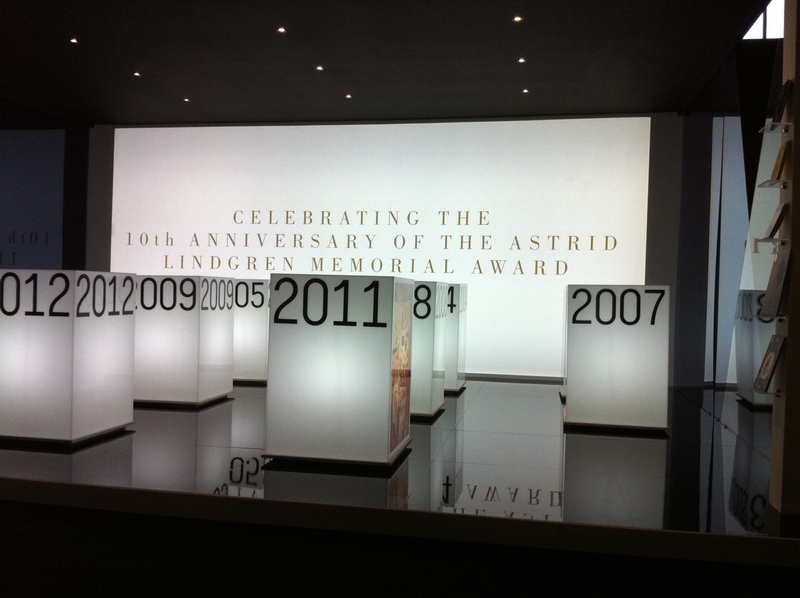 Due to the celebration of ALMA’s tenth anniversary, the previous award recipients have been invited to the fair. So, for all visitors of the Bologna Children’s Book Fair – don´t miss the opportunity to meet Lygia Bojunga, Ryôji Arai, Katherine Paterson, Banco del Libro, Sonya Hartnett, the Tamer Institute and Kitty Crowther. The program includes Italian author Andrea Valente who talks to Sonya Hartnett and Katherine Paterson about writing for children, Eros Miari, children’s literature critic, interviews Lygia Bojunga. Giovanna Malgaroli, Nati per Leggere (Italy) and Deborah Soria, Libreria Ottimomassimo (Italy) talks to Maria Beatriz Media, Banco del Libro (Venezuela) and Renad Qubbaj, Tamer Institute (Palestine) about reading promotion experiences and practices. And of course, illustrators Ryôji Arai and Kitty Crowther talk about narrating with pictures. For full program, have a look at the Bologna Children’s Book Fair’s web, here. 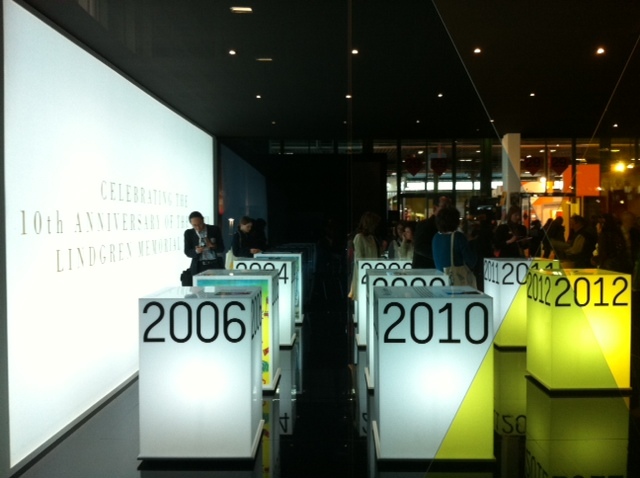 All previous recipients are presented in the ALMA jubilee exhibition, opening on the first day at the Fair. Yesterday, Banco del Libro was announced as one of three recipients of the UNESCO-Hamdan Bin Rashid Al-Maktoum Prize for outstanding practice and performance in enhancing the effectiveness of teachers. Congratulations from the ALMA award office! The UNESCO prize is awarded every two years, consists of US $270.000 and is divided between three winners. The two other recipients are the Rato Bangala Foundation in Nepal, and the African Institute for Mathematical Sciences Schools Enrichment Centre in South Africa. Non-profit institution and reading promoter Banco del Libro from Venezuela received the Astrid Lindgren Memorial Award of 2007, and will be featured at the ALMA anniversary exhibition at the Bologna Children’s Book Fair March 19-22. 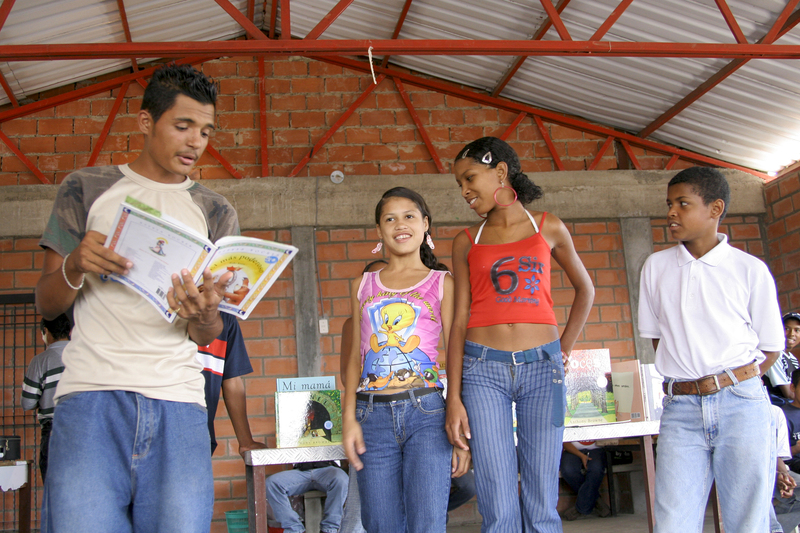 The Banco del Libro promotes reading, organizes libraries for schools and the public and develops evaluation tools to recommend books for children in Venezuela. Photo: Banco del Libro.